[Illustration Column] Sisterhood of Steel feat. Shibafu #6: Montana Released! Illustration Column III: Sisterhood of Steel feat. Shibafu #6 Released! Illustration Column III: Sisterhood of Steel feat. Shibafu is a collaboration between World of Tanks and popular military illustrator Shibafu. World of Warships has been featured for the second time, as the sixth illustration in the series! 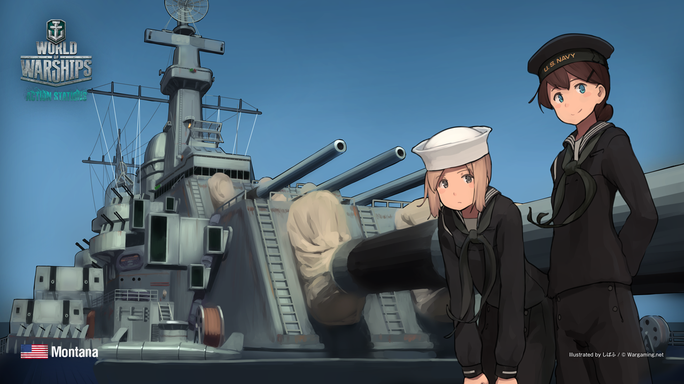 The ship portrayed this time around is the top-tier U.S. battleship, built to be stronger than even the Iowa... the Montana! Wallpapers are available as well! Download them and decorate your desktop! This is the last Sisterhood of Steel feat. Shibafu illustration for now, but don't be sad! The column will continue this year, so keep an eye out for updates! Go to the Download Page of "Illustration Column III: Sisterhood of Steel feat. Shibafu Part 06"